Located in Kissimmee, Runaway Beach Resort by Magical Memories is in the entertainment district, within a 10-minute drive of Fun Spot America and Lake Buena Vista Factory Stores. This condo is 2 mi (3.3 km) from Old Town and 5.7 mi (9.1 km) from Orlando Vineland Premium Outlets. Make yourself at home in one of the 50 individually decorated guestrooms, featuring kitchens with full-sized refrigerators/freezers and ovens. Complimentary wireless Internet access keeps you connected, and cable programming is available for your entertainment. Conveniences include microwaves and coffee/tea makers. 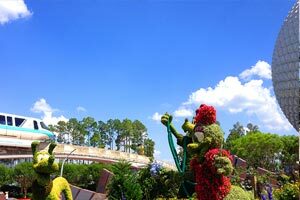 The preferred airport for Runaway Beach Resort by Magical Memories is Orlando, FL (MCO-Orlando Intl. ).